This Jefferson Hotel wedding is full of all things magnificent! It is an award-winning hotel positioned in the heart of downtown Richmond. The Jefferson Hotel made the perfect backdrop for Matt & Tamo to say their “I do’s.” From the gorgeous room, where we found the most amazing light, to the grand rotunda where cocktail hour was, this venue had it all! We especially lucked out with the gorgeous weather we had last Friday. It was refreshing not to worry about rain nor the heat! Give us all the fall weddings! 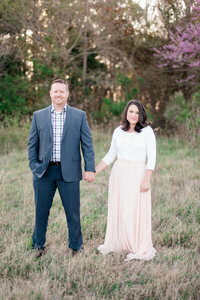 We normally do engagement sessions for our couples before the big day. However, with these two and their busy schedules, it, unfortunately, did not work out with us meeting them beforehand. This left us a little nervous. However, we were more than excited than nervous because we felt like we got a good read of Tamo from her awesome insta-stories that we follow! So grateful that we have social media these days! I seriously don’t know how we survived in the 90’s lol. Tamo is an extremely talented radio host in LA and her insta-stories are wild! So to say we were excited to meet this chick is an understatement! As Richmond wedding photographers we love the variety of locations we get to shoot at. Richmond has so much history. The breathtaking architecture is a sight to see and we especially love all the unique places to take pictures. We didn’t even have to leave the Jefferson parking lot because the surrounding was just stunning. Having so many beautiful spots in walking distance, gave us variety as well as saved us so much time! We loved watching this couple dance among the gorgeous backdrop of the hotel. I mean you can’t go wrong with an overcast day and beautiful scenery! Have I told you how much I love it when we get to incorporate fur babies at the wedding? If I haven’t, let me just let you know that I LOVE when our couples bring their fur babies. It does not always work out, however, when it does, it is so special. Matt and Tamo have a Cavalier King Charles spaniel named Emma. She is the sweetest and even posed for me at one point. I tried to not let her steal the show, but there were a few moments in which she did just that. If you are a bride thinking about including your dog, you can check out some advice that I shared on this very topic! It might not be for every couple to bring their babies along but when you can we will always so go for it! What an incredible wedding couple. These two make an awesome duo. Their friendship shines and their love runs deep. Luke and I loved watching these two become husband and wife. The joy that these two put off was tangible for all to feel. Thank you Matt & Tamo for a gorgeous Richmond wedding. You two were such a fun couple to meet and photograph. We especially loved our time playing one of our games with you! You nailed it! We wish you an incredible honeymoon and an amazing marriage! Wishing you both a lifetime of love and happiness. For more Richmond Shenanigans visit below!